I have been very interested in FPV flight for a while now, but my primary focus has been on multirotors. I have made two FPV multirotors (a 250 quadcopter, and a 250 tricopter), and I have spent hundreds of hours researching and tinkering and flying them. I’ve even made an app to help track flights. 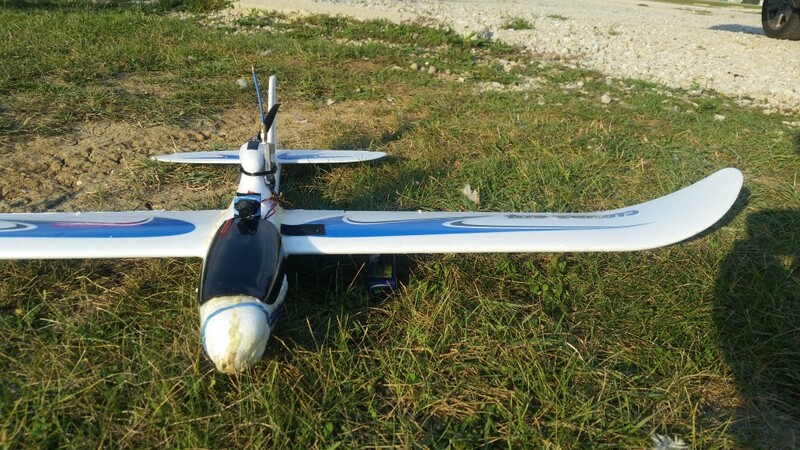 One of the next steps for me was to start trying FPV flight with fixed wing. So, like any good hobbyist, I bought myself the AXN Floater Jet from hobby king, based on Bruce from RC Model Reviews‘s suggestions. I learned to fly LOS on this plane, and then later took it to the next step of flying it via FPV. The Whole Assembly after the FPV maiden. A shot of the inside. Yes, it’s messy. With 2200 3S batteries, I can fly for around 15 minutes of throttle time, but my flights can last upwards of 25 minutes, landing ~3.7v per cell. I am, of course, gliding around primarily, so this could be shortened with harder flying. Yes, my plane is pretty beat up. It’s my first ever radio controlled plane. The above video is flown with the Xiaomi Yi attached, and it had some balance issues with the camera attached. Below are two where the plane was a little bit better tuned, but flown via LOS. Finally, never been totally happy with the flight characteristics of this plane. I’m thinking of trying all of this on a flying wing like a Bonsai from hobby king or something like that since it would be a little bit more maneuverable and fun and fast. This is a good trainer for it, but I want something a little bit quicker maybe. 12v from the 3S battery goes to the VTX from a splice on the pigtail that comes from the ESC. The VTX in turn powers the camera. pan/tilt mount for my camera. While it was fun to just dink around with the camera fixed on the plane, it would have been really nice to easily be able to look down to see the ground. I am either going to buy or have a tilt mount 3d-printed soon. 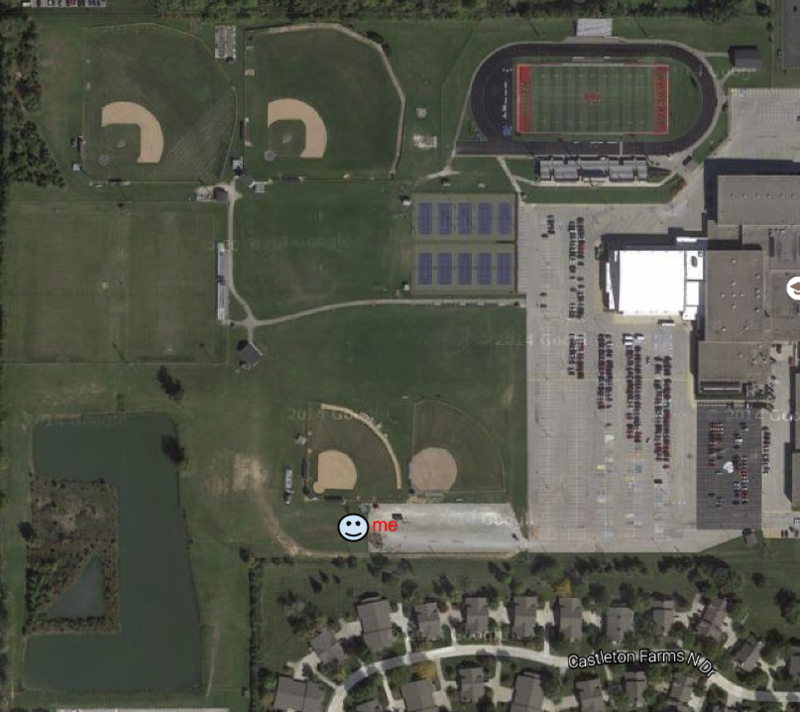 OSD + GPS — this is the step that I’m not sure I’m going to make with this platform (i.e. the AXN Floater jet). It’s just a little bit too cramped to find room for a flight controller, OSD, GPS, etc, and it’s just a little bit underpowered. I might switch to something else instead, just because this isn’t quite big enough for all of that gear. That being said, what I want to put inside of this is the BrainFPV flight controller. It’s VERY hard to tell how high you are, and it’s very hard to tell how fast you are going when ascending. Basically, when I was ascending without the OSD, I would occasionally give a little bit of aileron to test out how much wind was flowing over the control surfaces to see if I had any authority. If I did, keep pushing the nose up. If I didn’t, lower the nose and gain some speed. It works, but it’s not optimal. GPS+OSD would make this a lot easier. Flight Controller — kinda goes along with the above, but it would be very nice to have auto-level/altitude hold features for when I switch from LOS to Goggles. Maybe I just need landing gear so I can take off with goggles on. 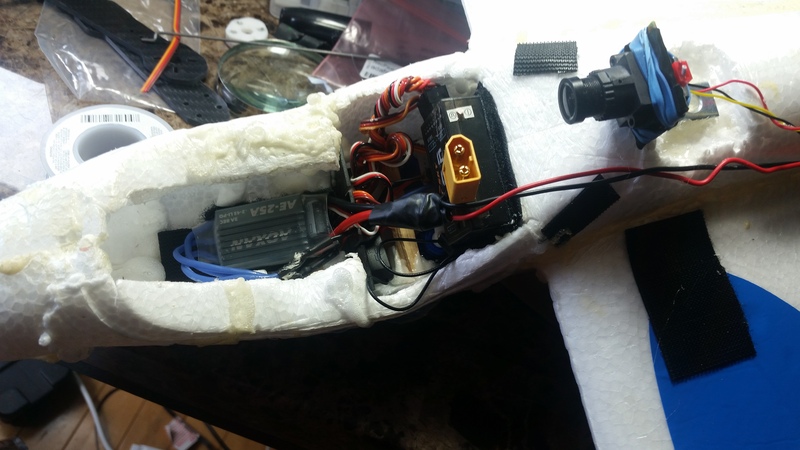 Regulate and filter power to the FPV system to prevent noise from the motor. Like I said before — not a huge hinderance, but it’s annoying non-the-less. What the heck is LOS FPV? They are mutually exclusive. If you persist into FPV then select a super-light FPV hardware to fit it well and caution to RF issues, keep it below 800gram to avoid “Spiral of Death” stall issue. The last flight i put Quanum telemetry inside the cockpit, the RF kill everything on board after 2 minutes of flight, however it didn’t happen inside my SKY SURFER of same hardware setup.